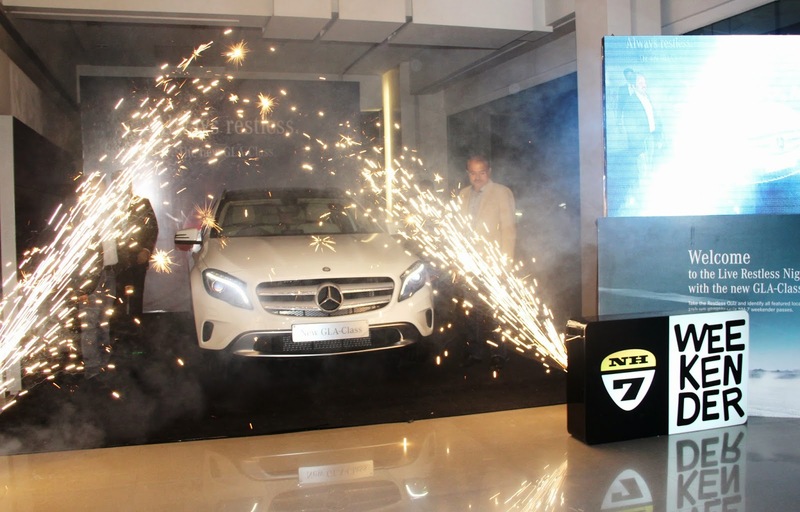 The new Mercedes-Benz GLA-Class Exclusive Preview was recently held with much grandeur at Shaman Wheels Showroom, Kalina. 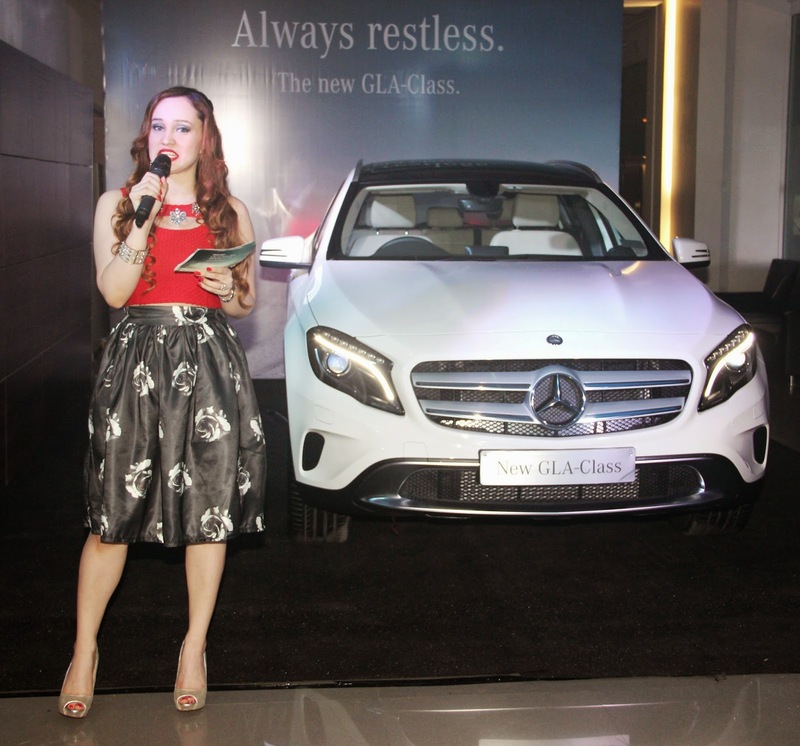 The GLA-Class is Mercedes-Benz latest stylish Luxury SUV and a special preview event was held for a select group of esteemed guests amongst much fan fare. 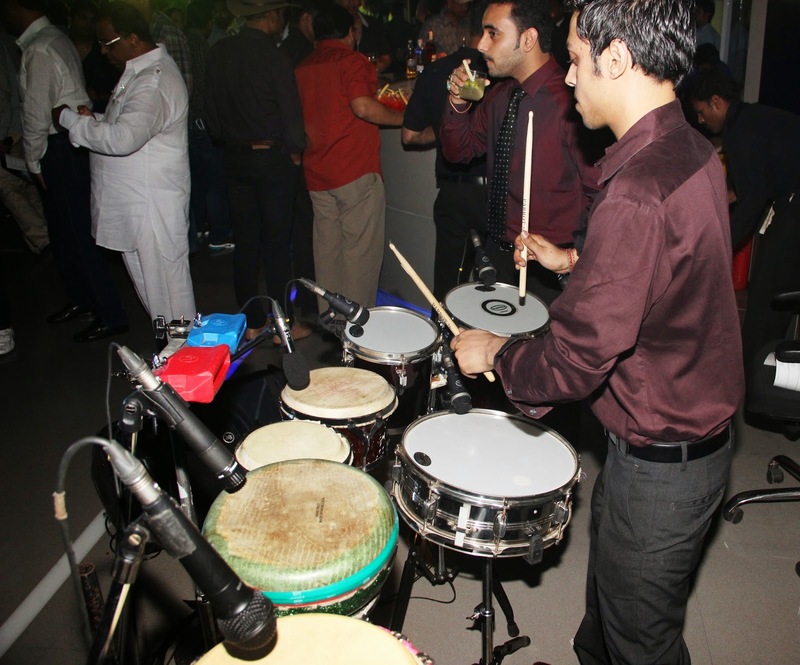 The Event was organised by my event company ‘Feisty Fox Events‘ in association with ‘Think Big Entertainment‘. 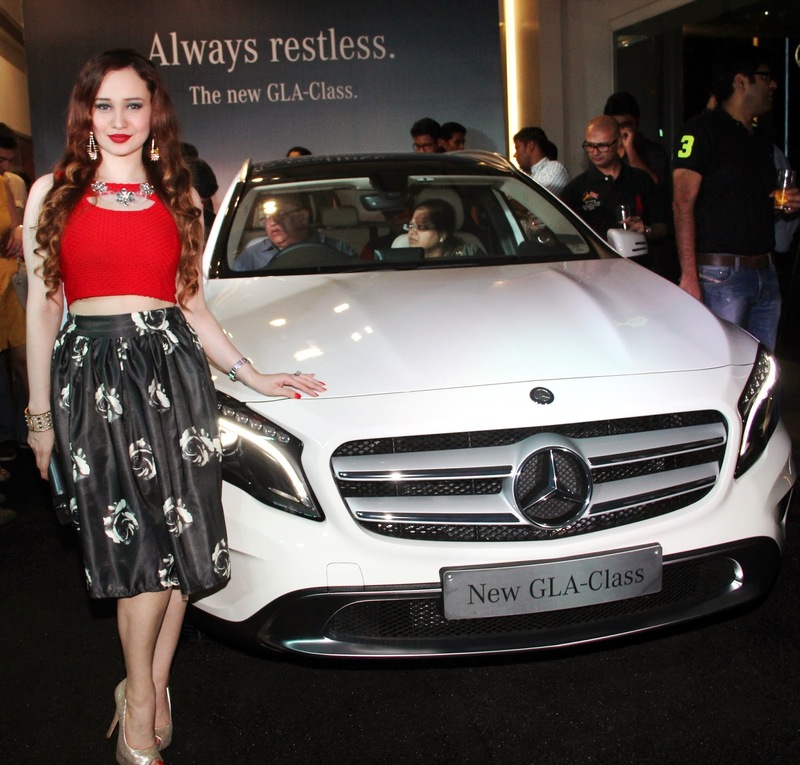 It was truly a privilege to have been approached to organise this event and be associated with Mercedes-Benz India. I also played host for the evening and had the most amazing experience during the event. 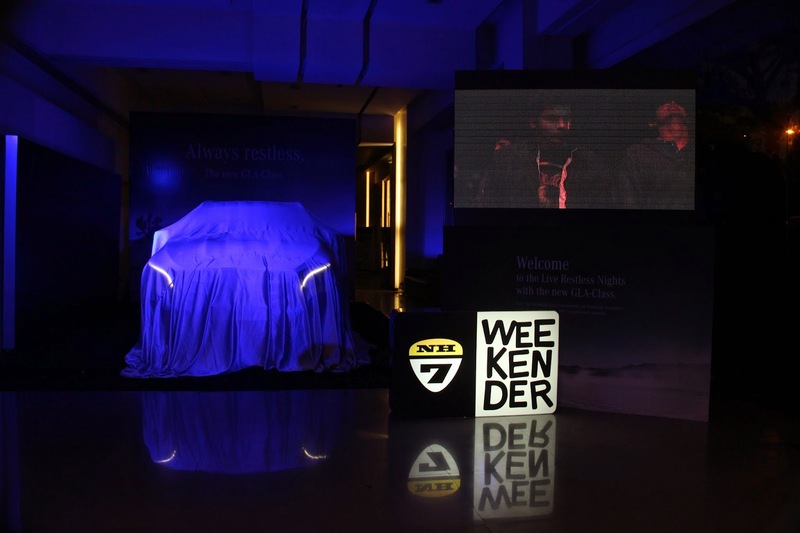 The Event was held in association with the NH7 Weekender, which is India’s most innovative and exciting live music event, keeping in tune with the “Live Restless” spirit associated with the new Sporty & Stylish Luxury SUV. 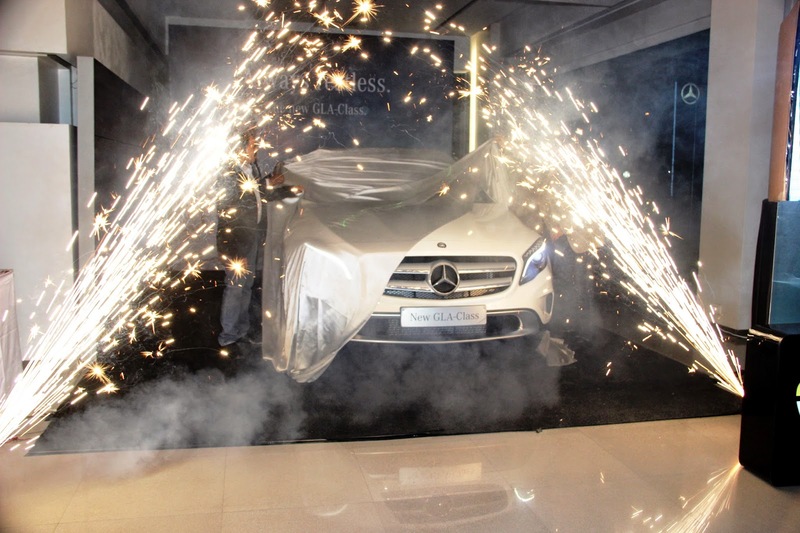 In fact the entire showroom was transformed into a party zone to host the ‘Live Restless Night‘ to mark the preview launch of the new GLA-Class. 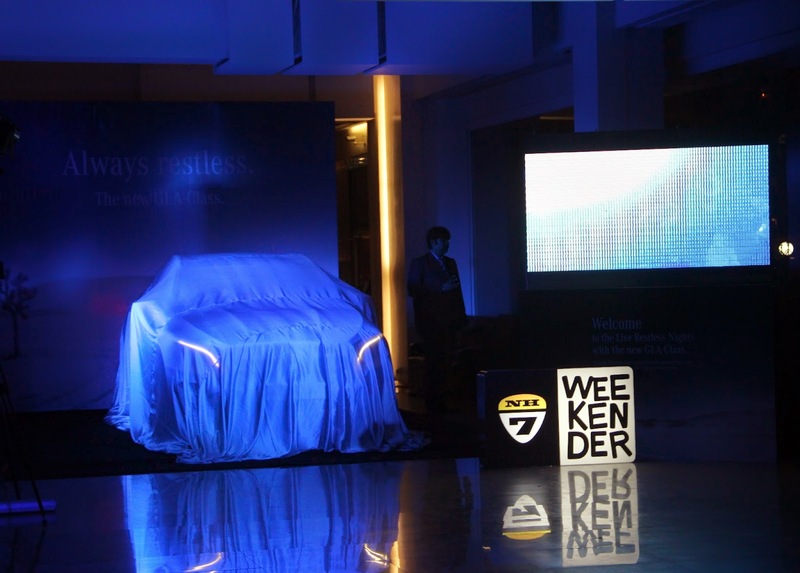 The car was kept under wraps with just the headlights shining through,building up the guest’s anticipation and excitement till the unveiling. I played host for the evening , wearing this red peekaboo crop top paired with this full skirt in black satin with white roses and accented with a silver perspex statement necklace, a bling statement cuff and silver peep toe heels. I kept the look classic with a little edge to keep with the spirit of the evening. 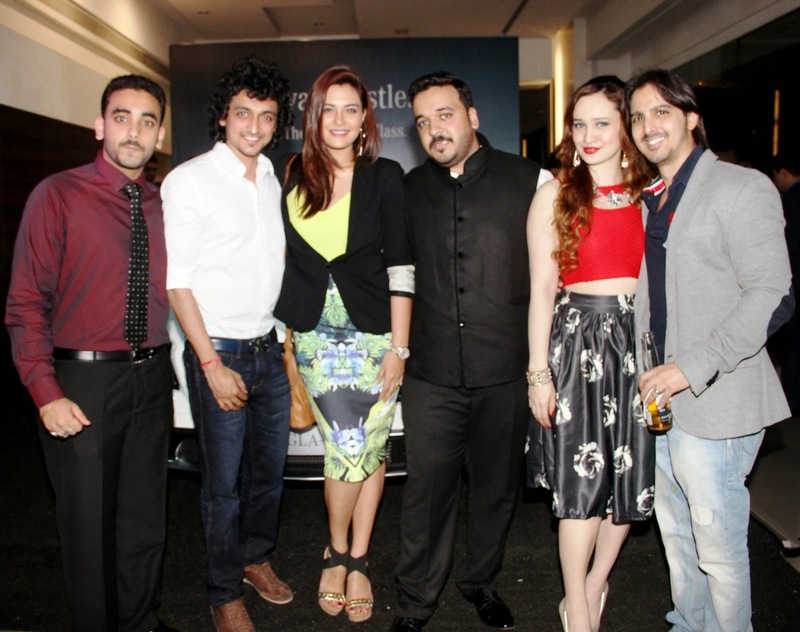 I had to put on quite a spirited show to match the ‘Live Restless‘ theme of the event. 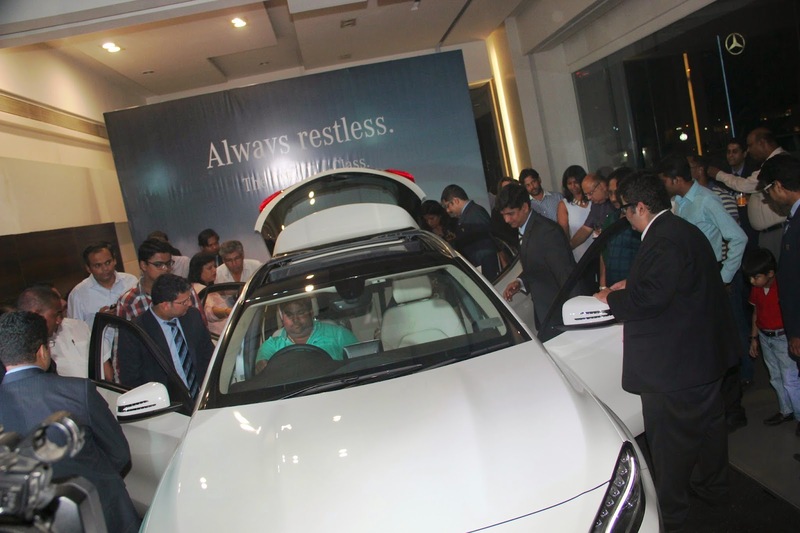 Mr.Amar Sheth,Director Group Shaman gave the guests valuable insights about the new luxury SUV and also informed them of the two exciting contests for the evening. 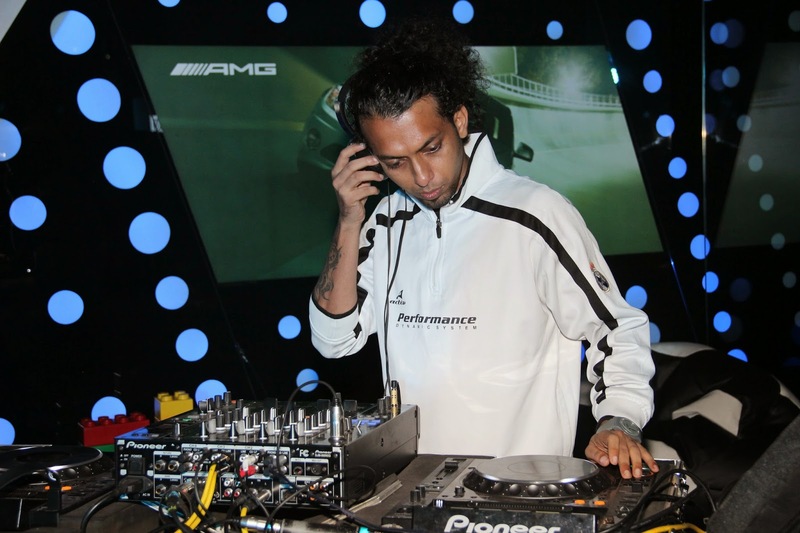 The first contest was to win an all expense paid trip to the NH7 Weekender Party happening at Pune. 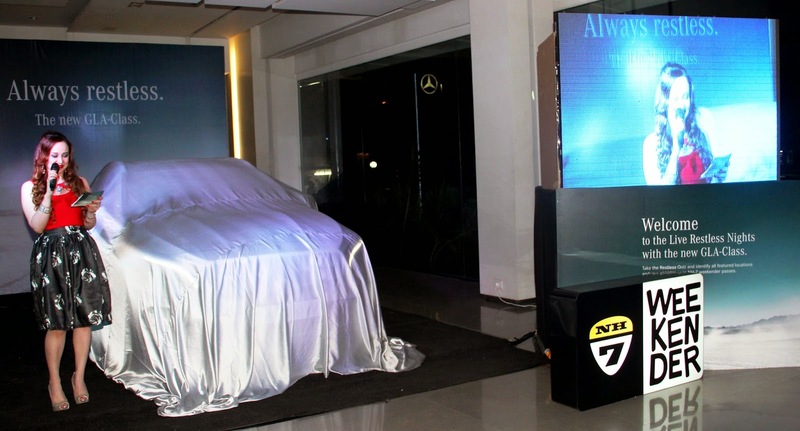 Apart from this the guests could also win a GLA for 3 months by participating in the ‘Live Restless’ contest on the I Pads. 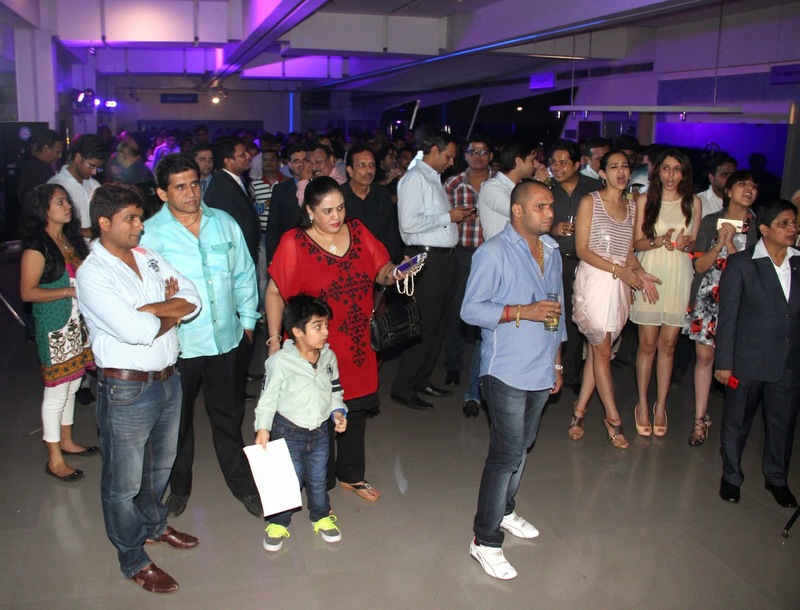 Both the contests were played with fabulous enthusiasm by the guests. 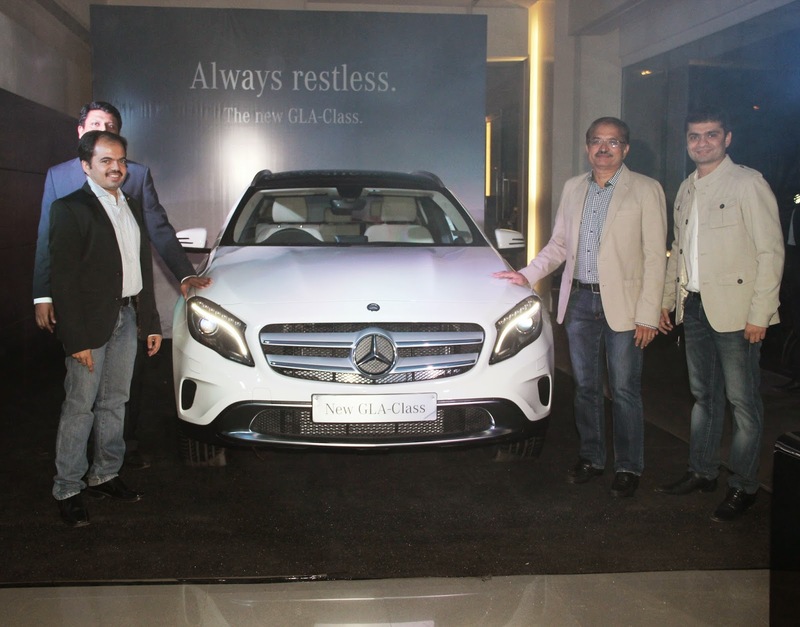 The GLA- Class was unveiled amongst great fanfare by Mr.Jatin Sheth-Chairman Group Shaman, Mr.Amar Sheth & Mr.Rishabh Sheth -Director Group Shaman & Mr.Amit Jain – CEO Shaman Wheels. 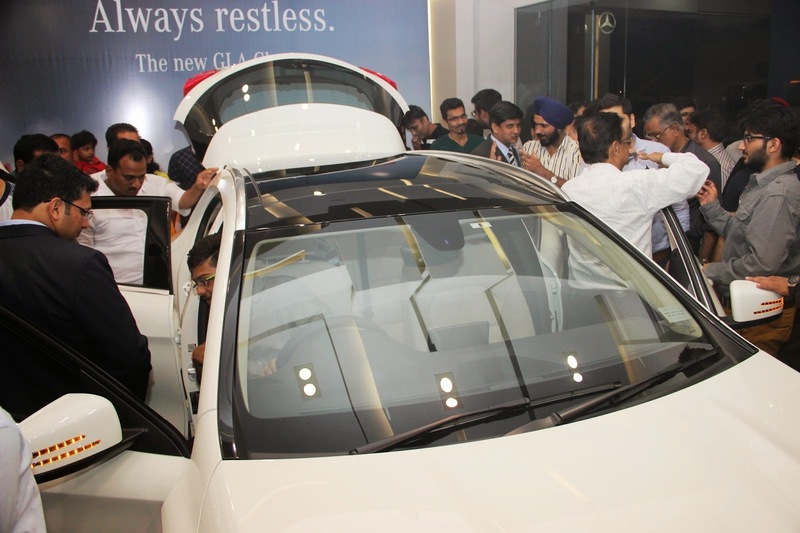 The guests thronged to have a closer look and feel of the new GLA-Class, amongst great excitement. 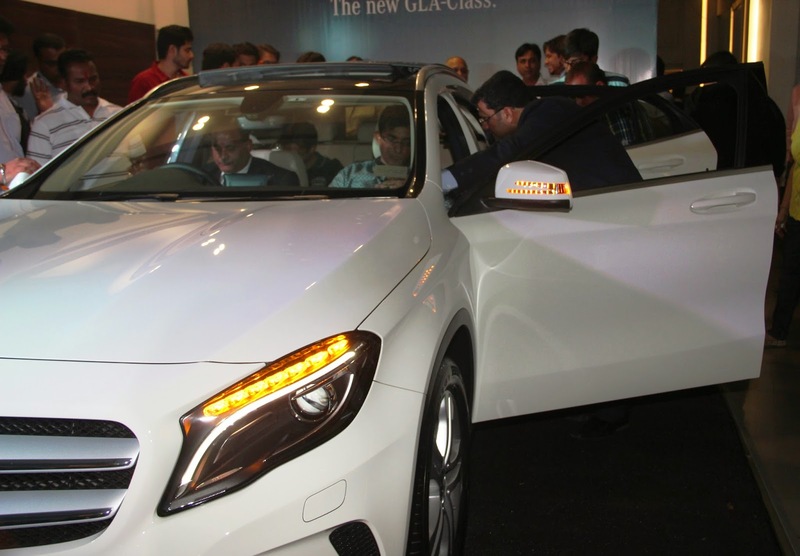 It is coming in both diesel (GLA 200 CDI) and in petrol (GLA 200) versions. The car will be available in 4 colors – Jupiter Red,Orient Brown,Polar Silver and Cirrus White. 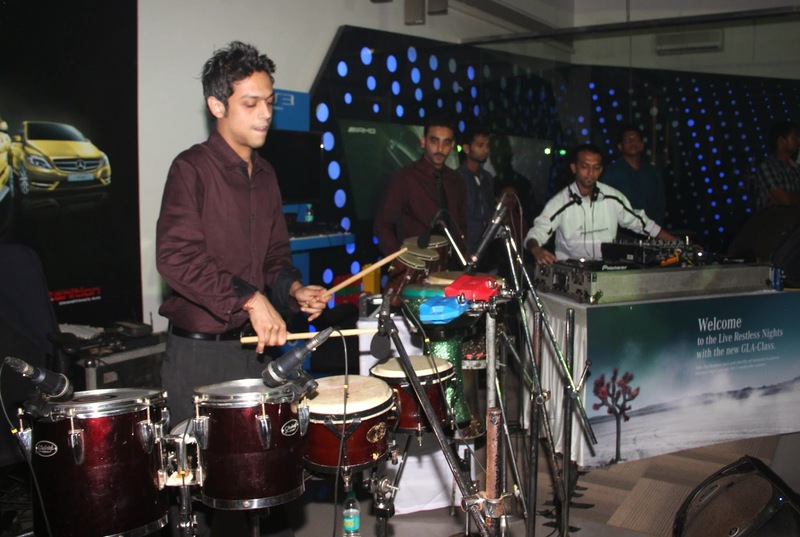 The guests were also kept entertained by the fabulous performance of percussionist Tarang , along with some high energy music belted out by DJ Sumit, creating a whole NH7 Weekender Party vibe. 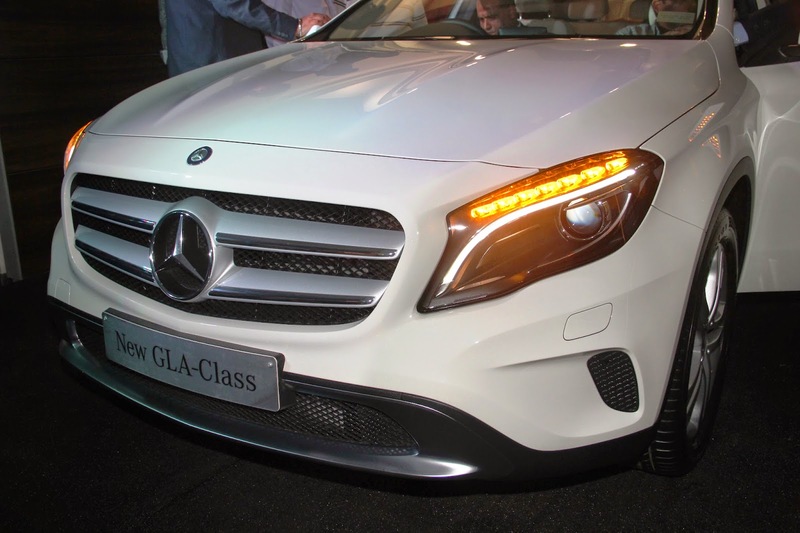 It was a packed house at the ‘GLA-Class‘ Preview event at ShamanWheels, with guests enjoying some fabulous food and cocktails, while admiring the new luxury SUV up close. 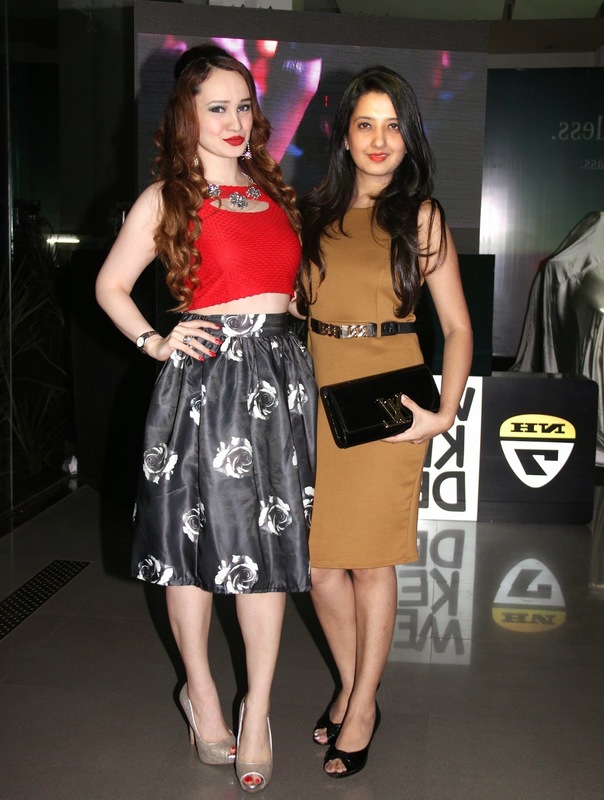 Lots of prominent faces were also seen at the event like designer Amy Billimoria, Actress Nazia Hussian, Actor Ajay Gehi and lots more, adding a glamour quotient to the event. 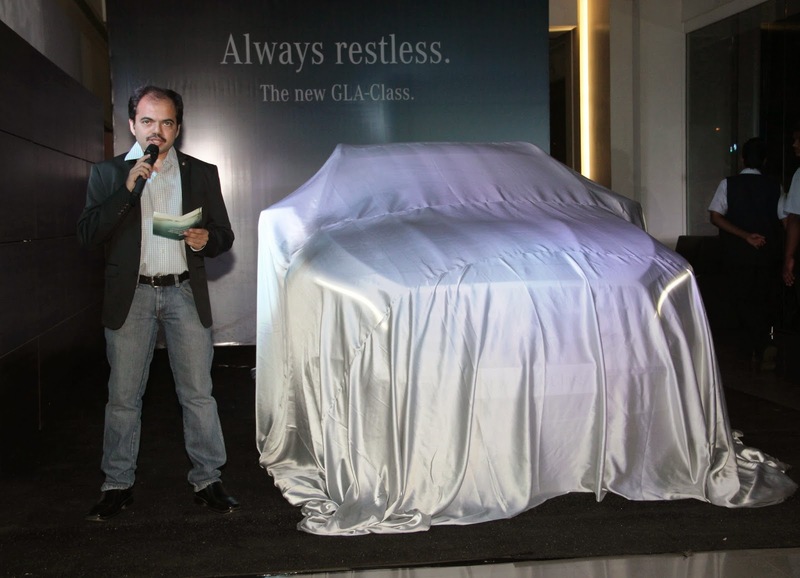 It was truly a spirited and entertaining evening and the new ‘GLA-Class‘ was received with much excitement by the guests. Great presentation I wish I had that car. You look amazing. 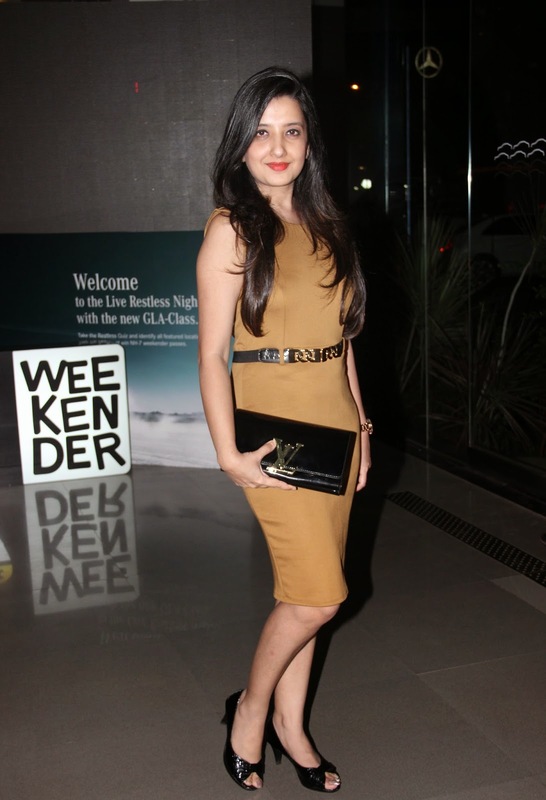 Lovely event, love your outfit too! What a cool event! You look great and I love that midi skirt! Nice presentation! You are also looking beautiful in this dress. You know, I am an aspiring event planner and also organize such events. 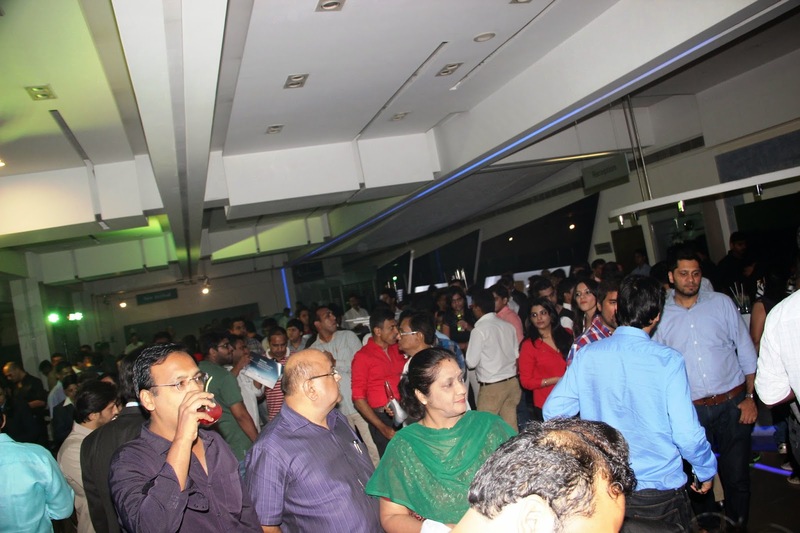 I admire all the arrangements of this event and really wish to replicate it successfully. Excellent job! !